Standard delivery is £3 for orders under £20 and free for orders over £20 on the UK mainland.Your order will be delivered in between 2 - 3 working days. UK Next Day Delivery service is available for most UK Mainland orders placed before 5pm, subject to satisfactory payment security check.For orders over £100 this is free, orders over £70 is £2 and for orders under the value of £70 the cost for this service is £6.95.Unfortunately we are not able to offer Next Day delivery on all UK orders and we will notify you if we are unable to fulfil this on your order. Delivery to mainland Europe is usually within 5 working days.A list of delivery charges is shown below. Where applicable, please note any customs or import duties are charged once the parcel reaches its destination country.These charges must be paid for by the recipient of the parcel.We have no control over these charges and we cannot tell you what the cost of this may be as policies and duties vary widely from country to country.You should contact your local customs office for advice on the current charges that are applicable before you place your order. Please note any customs or import duties are charged once the parcel reaches its destination country.These charges must be paid for by the recipient of the parcel. We have no control over these charges and we cannot tell you what the cost of this may be as policies and duties vary widely from country to country.You should contact your local customs office for advice on the current charges that are applicable before you place your order. Unfortunately we are unable to ship to these territories from the UK. 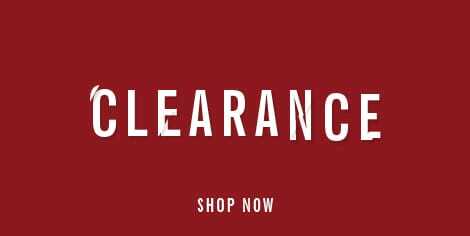 Please visit Ben Sherman USA ( https://www.bensherman.com/), Ben Sherman Canada (http://www.benshermanstore.ca/) or Ben Sherman Australia (https://bensherman.com.au). Unfortunately we are not able to accept returns from the USA at this time. We are more than happy for any overseas order to be returned but we do ask that whoever is returning the order cover the cost of the return postage to our warehouse. You have 28 days from receipt of your order to return any items as long as they are unworn, unsoiled and in a saleable condition with all labels still attached. We unfortunately cannot accept the return of any item which as been altered to your own personal specifications. For exchanges we ask that you place a new order for any new items you require and return back to us an unwanted items as specified above. Please note that it is your responsibility to return the goods in a saleable condition, we cannot take responsibility for any missing or lost items being returned back to our warehouse. No you do not have to sign up, the check out area provides you the option to be a guest. We do suggest that you set up an account; this will allow you to order without having to enter in your details every time you would like to shop. You can set up an account right now, or you can start shopping straight away and set up your account when you check out, whichever suits you best. Once you have signed up, you will be able to log into My Account anytime you like. This is the place to go if you want to change your password, delivery information, email address or e-mail preferences. 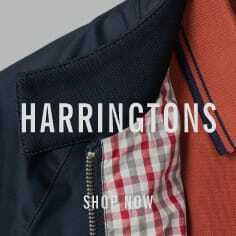 WHAT IS THE BEN SHERMAN NEWSLETTER? To stay connected with the latest news, looks and updates from Ben Sherman, sign up to receive our bi-weekly Newsletter. You can do this by setting up an account or using the link on the lower right of the homepage. You can cancel your account by sending and e - mail to & nbsp;< a href = "mailto:webteam@bensherman.co.uk" > webteam@bensherman.co.uk .Your account will be reviewed and cancelled within 1 working day. You can use the Search Box on the homepage to type in the product code or a description of the item you are looking for. You can also use the clothing menus along the top of the homepage and the search categories within these menus. 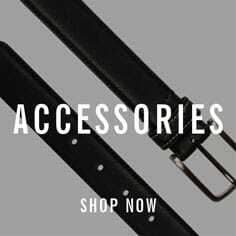 HOW CAN I FIND OUT MORE ABOUT A BEN SHERMAN PRODUCT? When you see an item you like, click on the image of it. This will take you to the product page where you can find more details about the product including the name, code, price, description, available colours, size and fit guide, washing &amp; care, delivery and shipping and returns.You can also see photographs of the front, back and detail shots of the fabric or pattern in use. 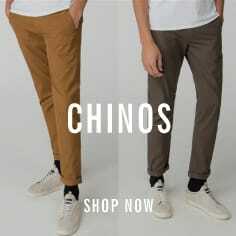 DO YOU HAVE A SIZE AND FIT GUIDE? 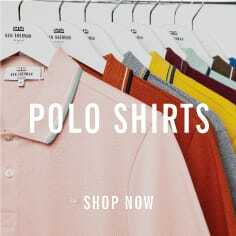 Check out the Size And Fit Guide on the product pages for measurements and tips on how to get the perfect fit.Ben Sherman shirts are designed in two fits: Soho (slim) and Mod (regular). 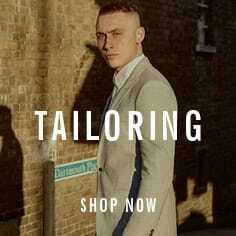 Our tailoring is designed in Camden (skinny fit) and Kings (slim fit). 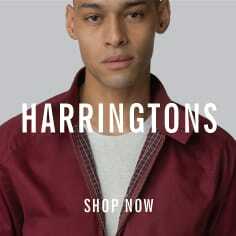 When you see an item you wish to purchase, click on the product and you will be taken to the product information page.Here, select the size and quantity, and then click Add To Basket. Follow the prompts to complete the payment.You can review your products before payment in My Basket. You can pay using UK Pound Sterling (GBP) and Euros. Once your card is authorised, payment will be taken. A confirmation email will then follow, sent to the email address entered in My Account or in the Guest check out.&nbsp; If your card is not authorised, payment will not be taken, and you will be notified by a message on the screen that the authorisation has failed. Please bear in mind that even if a payment fails to be authorised, some card issuers may still reserve the money temporarily. DO YOU SELL GIFT VOUCHERS FOR USE ONLINE? We currently do not provide this service. A credit note cannot be used for an online transaction, this is only valid in the store of purchase. All prices on the web site are including (local) VAT / BTW/ Sales Tax. Once your order has been confirmed, it is not possible for you to change it prior to dispatch. If your country isn’t in the list then please keep checking back as we hope to expand in the near future. As soon as your order has been dispatched from our warehouse, we will send you an email to let you know. If you don't receive your order within the specified delivery time, please check your order using the Hermes, wnDirect or Fedex tracking code supplied in the dispatch email. If you have any further queries, please contact Customer Care, and we will look into it for you. UK customers: You can track your order by putting in your Hermes tracking number into www.ukmail.com You can find this tracking number on your order confirmation email. European customers: You can track your order by putting in your Fedex tracking number into www.fedex.com You can find this tracking number on your order confirmation email. Germany and rest of the world customers: You can track your order by putting in your wnDirect tracking number. You can find find this tracking number on your confirmation email. We do not deliver to PO Box addresses; parcels need a home, office or other location where the receiver can sign for the receipt of the parcel. Unfortunately we are unable to deliver to BFPO addresses. A MISTAKE HAS BEEN MADE WITH MY ORDER! If you have noticed that we have made a mistake with your order, please contact Customer Care and let us know. We will do what we can to sort this out for you. We aim to respond to all queries as soon as possible, so we’ll be in touch shortly. Simply peel off your sticky returns label that has been included in your shipment and affix to the front of your package. Please make sure you fill out the returns sheet and enclose in the package, stipulating the reason for return and sign to confirm.&nbsp; Please see our returns policy for more details. 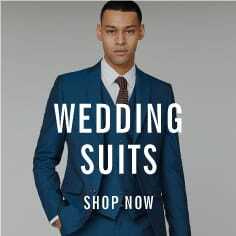 If you require a different sized garment to what you have purchased, you will need to return your item to us for a full refund and then place a new order. Currently you cannot return your online purchases to one of our stores and visa versa. Your parcel has a free returns label included and can be returned by using your local mail service. If you collected your parcel at a store through the click and collect service then you can return your purchase to a store or use the free returns label provided. I HAVE A FAULTY ITEM! At Ben Sherman, we pride ourselves on the quality of our product but if you think anything in your order is faulty, please get in touch with us within 28 days of delivery and we'll do all we can to rectify the situation. To return a faulty item, please fill out the returns note, citing ‘Faulty’ as the returns reason. Then briefly describe the fault and sign the note to complete. If we agree that the item was faulty we will refund all post and packaging costs, as well as the cost of the item of course. For our rest of the world customers, please email webteam@bensherman.co.uk for further advise. We’re ever so sorry you have had this problem - it is extremely rare that this happens. Please fill out the returns note, quoting ‘wrong item’ as the reason for return. If this is agreed by our returns team, your post and packaging charges will be fully refunded, along with the cost of the item of course. As soon as your return has been refunded by our warehouse, we'll email you to let you know. In the unlikely event that you don't receive this email within 28 days of posting your parcel to us, please get in touch with Customer Care, and we will investigate into the status of the return. Please do obtain a proof of shipment from your local mail company and note the return label number for your own records. We will process a refund within 10 working days of receiving your parcel, and email to let you know we have received and processed it. After the receipt of this email please allow another 5-10 working days for the refund to be credited to your account. The amount of time this takes will depend on which bank or card issuer you're with. We will credit your refund to the same card or payment methodology you used when you placed your order. If we can't do this (perhaps your card has been declined, cancelled or has expired), we'll contact you. If you can't remember your password, just type your email address in to the 'Forgotten your Password' box on the sign-in page, and we'll send you a new password. You have six attempts to log in to your account, before you are locked out. WHY AM I NOT RECEIVING ANY EMAILS OR NEWSLETTERS? One of the most common reasons for this is that your email account is identifying emails from us as junk mail, and they are being sent straight to your junk mail. To stop this from happening, add us to your email address book, then emails from us will be recognised as legitimate and should come through no problem. HOW DOES MY SHOPPING BAG WORK? Any item you add to your shopping bag will remain in the shopping bag until you complete your order or remove it. However, your order items are not reserved until you process payment, and you may find that if you leave it too long that item will sell out! So if you love something, our advice is to get it then and there to avoid disappointment. 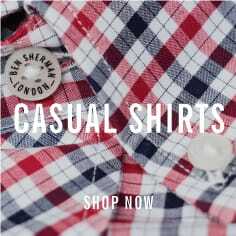 WHERE CAN I FIND A BEN SHERMAN STORE? 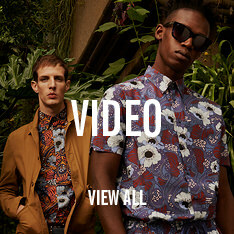 You can locate a Ben Sherman store on the ‘Store Finder’ found on the homepage of the website under ‘About Ben Sherman’. Customer Service Helpline - 0333 999 08 89.